Sir i need your help! Nakabili po ako ng 2nd hand na vios 2006 and hndi po sinabi samin na flooded ang unit and now i have the same problem. Tama po kayo nag ask ako sa casa it's 29k! have the same problem... our car was one of the victim of Ondoy and almost couple of years na blackout un panel gauge... un handbreak lang un umiilaw and the tube something color orange dnt know that thing... wala din kasi ako time magpatingin sa electronic shop sana magawa ko din yan hahahaha but just wanna ask ano un pinaka main na dapat icheck to see if my panel gauge is still working or need a replacement... thanx! 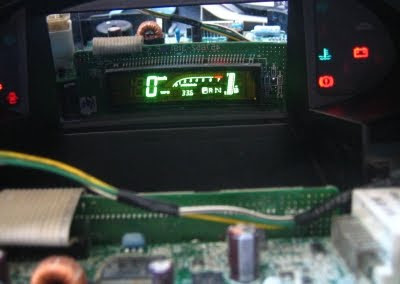 Hello paetechie, I'm having the same problem with my altis optitron meters. What's different with mine is that when I unplug the instrument cluster and plug again or unplug/plug the negative ground to the battery, the instrument panel lights up. But only until I switch off the engine. When I start up the car again, the panel is again dead except for the indicator lights. At least I can give a possible problem/solution - (voltage regulator) the next time I have the panel checked. The regulator is an IC? joseph, hmmm, i don't think it's the voltage regulator, probably just a car electrical wiring problem. if the voltage regulator is dead, the instrument panel is expected to be completely blacked out i.e. dead. trace the wiring connections up to the power terminals of the instrument gaude cluster. Sir we have the same problem. Nasolve na po ba yung sa inyo? Ano ginawa niyo? I am also from baguio. anonymous, sorry for the late reply. your problem may be electrical in nature, an open circuit. it's best to monitor the wires with the instrument cluster in full view. sir dating 9632.6 ung mileage ko tapos biglang bumalik sa 30.6 paano gagawin? Sir natamaan ako ng sendong dito sa CDO.vios 2004 1.5g manual sakin.IC daw ang sira ng sakin.may solution pb dito maliban sa brand new o surplus? hello sir. i have the same case as sir joseph. i have an altis model 2001 and all of my gauges are not working except for the indicator lights. but when i unplug and plug the battery terminal, it will function again. but after parking it for a while, it does not work again. Hi sir I have 2008 1.3e vios and my speedometer and the fuel gauge isn't working. I removed the gauge and I found out that there's already a jumper. What should I do? 2006 vios. speedometer not working. saan pwede dalhin? good morning po sir. ganyan din po ang problem ko nabili ko po yung car ko month ago di ko po alam flooded po pala baka po pwede nyo ko matulungan na ma repair yung speedometer panel ng toyota vios 2006 model ko po sir. antayin ko po reply mo sir. ito po email address ko davidcojr@gmail.com para po mabigay ko sanyo ang contact details ko. thanks po. good morning po sir. ganyan din po yung problem ko sa toyota vios 2006 model 1.5G sana po sir matulungan nyo din po ako. ito po yung email address ko sir davidcojr@gmail.com para po mabigay ko po sanyo yung contact details ko sir. thank you po.